Maja Salvador and Kyline Alcantara walk the red carpet at the inaugural Asian Academy Creative Awards today, December 7, at the Capitol Theatre in Singapore. 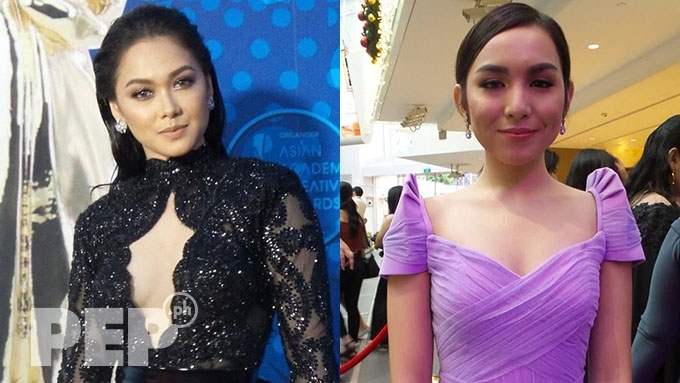 ABS-CBN's Maja Salvador and GMA-7's Kyline Alcantara, plus other GMA-7 actors, are ready to represent the Philippines as they walk the red carpet of the inaugural Asian Academy Creative Awards. The awards night is being held today, December 7, at the Capitol Theatre in Singapore, where the winners of the acting awards will be announced. Maja Salvador is a finalist for Best Actress in a Leading Role for her performance as the vengeful Ivy Aguas/Lily Cruz in the defunct ABS-CBN prime-time series Wildflower. Her black Val Taguba gown is somewhat reminiscent of one of her most pivotal scenes in the show, where she wore a black wedding gown. Kyline Alcantara is a finalist for the Best Actress in a Supporting Role category. This is for her performance as Cheska de Villa in the GMA-7 drama series Kambal, Karibal. In a short interview with PEP.ph (Philippine Entertainment Portal) at the red carpet, Kyline said that she is still in awe as she represents the Philippines at the Asian Academy Creative Awards. "Ito yung totoong mixed emotions po talaga dahil I don’t know what to feel. I don’t know how to move, hindi po ako sanay sa ganito. So, yeah, I’m so happy na nandito ako. I feel so honored and I am still in awe sa lahat po ng nangyayari." Kyline believes that the effort she exerted for the role is the main reason why she was given the recognition. "Maybe nakita po nila kung gaano ko siguro pinaghirapan yung character ni Cheska sa Kambal, Karibal. 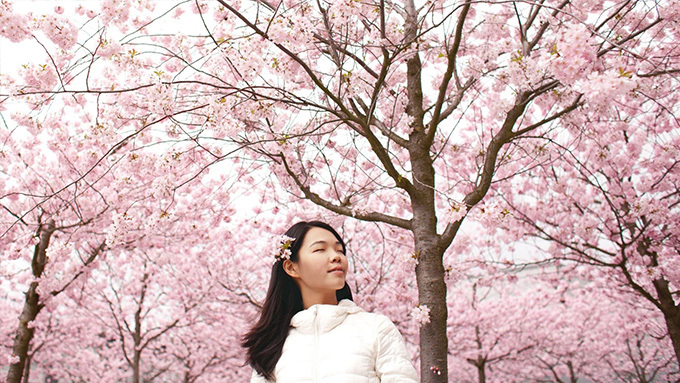 "Totoo naman po talaga na pinaghirapan, pinagpuyatan ko po, sobrang pinag-aralan ko po yung character ko, so I’m so happy right now and nare-recognize na siya internationally, not just locally." 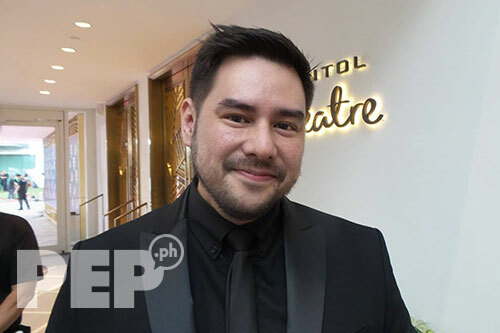 GMA-7 actor Gabby Eigenmann is Kyline's male counterpart, as he is a finalist for the Best Actor in a Supporting Role. He got the recognition for his closet gay role in the afternoon series Contessa. On why he was chosen by the award-giving body, Gabby said, "Maybe [because of] the creativity of the character I portrayed, and siguro, I'm sure naman lahat creative, e. It’s just the means of… I don’t want to say who’s better, pero kung ano yung timpla na gusto nila. Happy ako dahil napili ako dito." How does he feel about representing the country? "Na-excite din, parang sabi nila, di ba, usually, you’ll have butterflies? Ito parang gusto mong magbanyo! Ganun yung feeling." 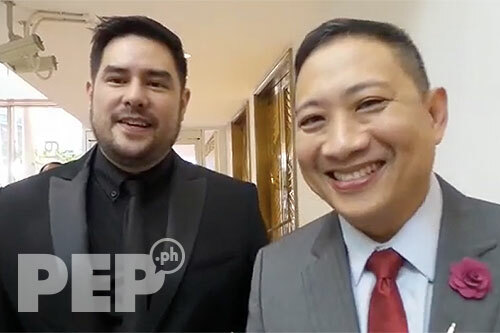 Veteran comedian Michael V. is also at the awards night to represent his show Pepito Manaloto, which is a finalist for the Best Comedy Programme category. Michael V., who plays the title role, is also nominated in the Best Comedy Performance category. When it comes to the show being nominated, Michael V. believes that Asians love the flavor of comedy that his show has been serving since it first aired in 2010. "Very similar yung flavor, yung buong Asia, very similar yung ginagawa namin, kaya I'm pretty sure yun yung dahilan bakit kami napasama dito." 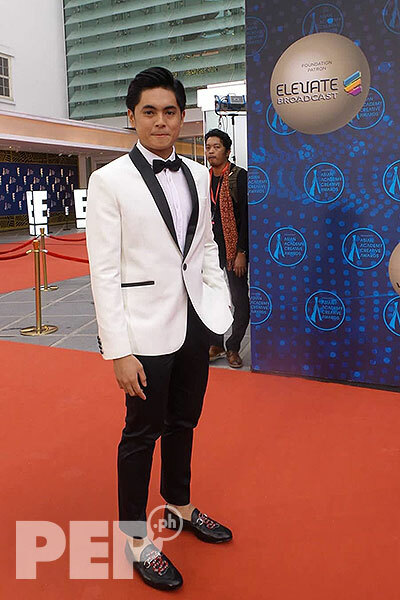 Miguel Tanfelix is a finalist for Best Actor in the Leading Role category for his performance as Diego in Kambal, Karibal. Towards the end of the show, a twist in Miguel's character occurs. Diego is possessed by an evil spirit, making this Miguel's first time to portray a kontrabida.